We love our weekly library and buddy reading sessions with Room 3. We were very very lucky and all got given a pair of slipper socks to keep in Room 6 for the winter. 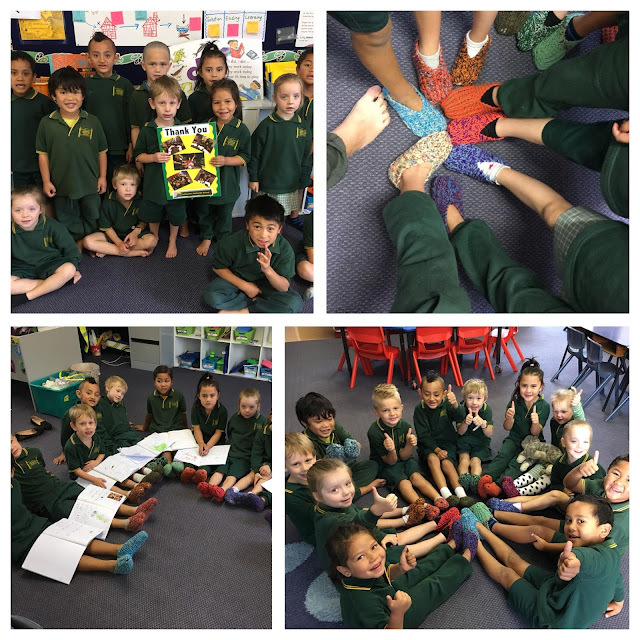 We wrote about our socks and sent the special person who gave us them a card from us. On Tuesday we went outside on a number hunt. We also found certain amounts of objects to help practise our one to one matching skills. We had the best time playing in the leaves and learning lots of new words such as "rustling, scrunching and bumpy". We got to pick our favourite leaf to write about.